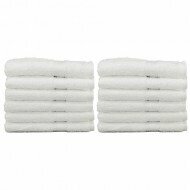 White hand towels in Premium-PLUS quality for Gym or workout use, these hand towels are made of 100% cotton extra soft and highly absorbent. Schools sports facilities can use these for teams. You care about every aspect of your gym or health club and so do your members. Treat them to quality equipment and more, including premium plus gym hand towels from Towel Super Center. 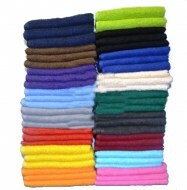 Our 100 percent cotton gym hand towel is priced low so you can buy as many units of one dozen as you need. Have them available for clients to use during workouts, after workouts, in bathrooms and in locker areas. 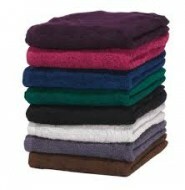 You’ll be pleased with the way these towels perform and you’ll appreciate the value you get when you buy from us. From bath to hand towels, premium plus cotton fibers are well-suited to holding their shape and absorbing moisture time after time. 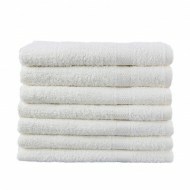 Their fluffy, soft texture comes from the carefully combed and constructed cotton, leaving your gymgoers dry every time. They’re also perfect for individuals with sensitive skin. Despite its absorbency, cotton resists holding onto moisture for too long. This means it takes less time to dry these premium plus gym towels in your gym’s or club’s commercial dryer. This further saves you money on monthly utility usage and enables you to get your towels in circulation faster. Choose any type of laundry detergent or bleach alternative to keep your premium 100 percent cotton gym towels in pristine condition. It’s best to avoid fabric softener, as this can create a film on the natural cotton fibers that interferes with their thirstiness. 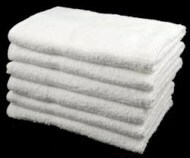 Do you need to refill your entire stock of gym towels, or are you simply looking for a dozen replacements? 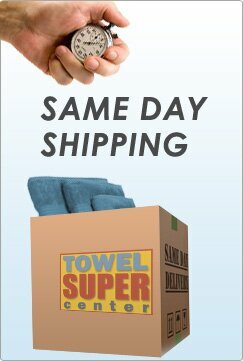 Regardless, you’ll always get a guaranteed great price at Towel Super Center. Remember that these gym hand towels are well-suited for customization, too. Have your insignia embroidered on them for a personalized touch that shows your facility’s pride and commitment. 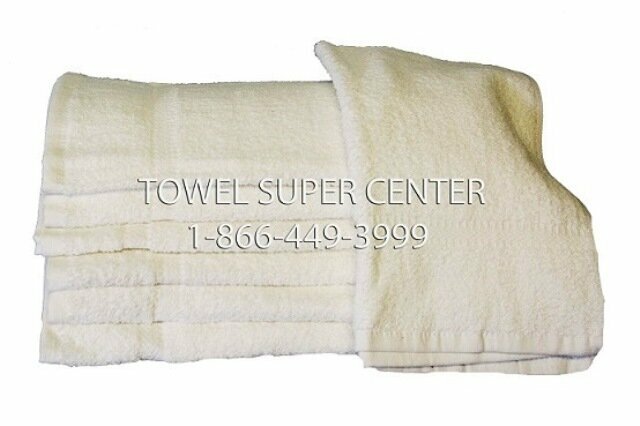 Have questions about these hand towels or any other products available through Towel Super Center? 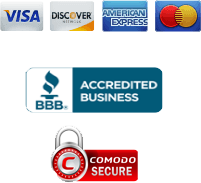 Contact our customer service representatives for fast and friendly help. 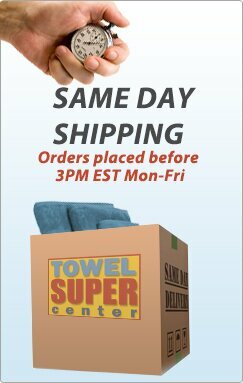 Don’t forget to order all your towels and related items through us!